The Department of Medicine, Faculty of Health Sciences at McMaster University and St. Joseph’s Healthcare invite applicants for an Academic Nephrologist to join the Division of Nephrology commencing in January, 2019. The successful applicant will have a primary focus in clinical and research aspects of heritable kidney diseases and will participate in both inpatient and outpatient programs. Clinical duties will include rotating through the in-patient nephrology service that provides MRP coverage along with a mix of CKD, ESRD and AKI patients (including acute dialysis) at all three teaching hospital sites in Hamilton for approximately 10 weeks per year. The provision of outpatient service will be comprised of a balance of new consults and follow-ups of general nephrology patients, as well as longitudinal follow-up of hemodialysis patients at two to three sites. 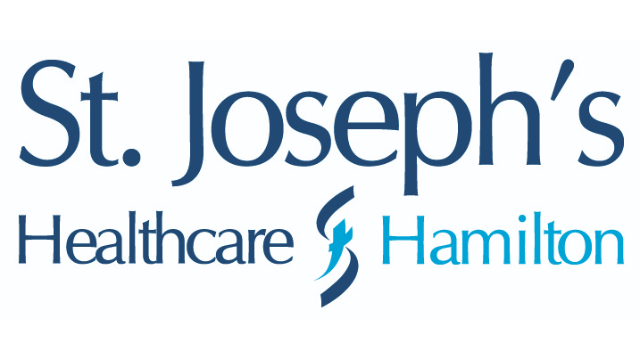 Additionally, you will be expected to attend and provide leadership in the heritable kidney diseases clinic at St. Josephs Healthcare. The successful candidate will complement an existing successful research group by bringing experience in genetic renal diseases to the Division. The Division of Nephrology comprises an equivalent of 16 geographic full-time nephrologists with four transplant nephrologists and two PhD researchers who are engaged in clinical practice, education and research. The Division provides tertiary nephrology and renal transplantation care to the central-west region of Ontario. The Renal Transplant Program performs approximately 130 transplants per year with over 1500 transplanted patients followed. We have a highly regarded nephrology residency training program with additional fellowship training in a number of areas including home dialysis, transplantation, and glomerulonephritis. The successful candidate will be a full-time member of the Division of Nephrology and will be expected to contribute to the academic mission of the Faculty of Health Sciences and the Division. Applicants should be certified, or eligible for certification in Nephrology, by the Royal College of Physicians and Surgeons of Canada. Candidates must have an MD or equivalent and must be eligible for licensure in the province of Ontario. Remuneration will be based on level of experience and is in line with academic Nephrologist remuneration in Ontario. Academic rank will commensurate with the candidate’s qualifications and experience. Expressions of interest should include: a curriculum vitae, description of training and names and contact information of three professional referees. Please apply online via the McMaster Academic Careers website: http://www.workingatmcmaster.ca/careers/. Applications should be addressed to: Dr. Scott Brimble, Division Director, Division of Nephrology, McMaster University, brimbles@mcmaster.ca. We will begin reviewing applications on September 6th, 2018. In keeping with its Statement on Building an Inclusive Community with a Shared Purpose, McMaster University strives to embody the values of respect, collaboration and diversity, and has a strong commitment to employment equity. The diversity of our workforce is at the core of our innovation and creativity and strengthens our research and teaching excellence. The University seeks qualified candidates who share our commitment to equity, diversity and inclusion. While all qualified candidates are invited to apply, we particularly welcome applications from women, persons with disabilities, First Nations, Métis and Inuit peoples, members of visible minorities, and LGBTQ+ persons. Job applicants requiring accommodation to participate in the hiring process should contact the Human Resources Service Centre at 905-525-9140 ext. 222-HR (22247) or the Faculty of Health Sciences Human Resources office at ext. 22207 to communicate accommodation needs.